Couples I Support On Sonic X. 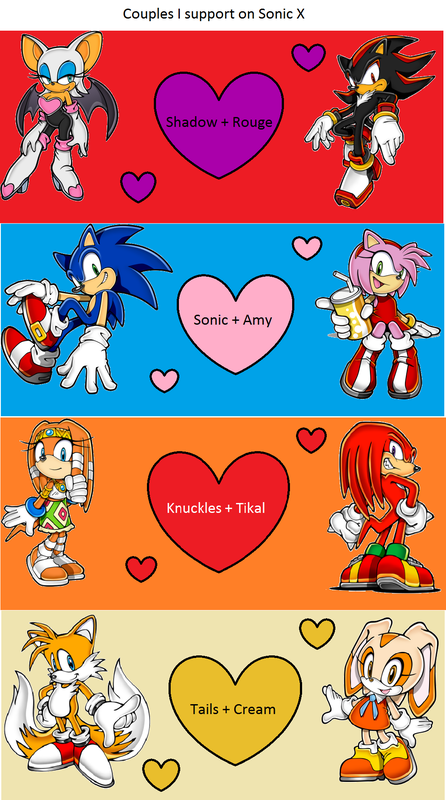 These are the couples I support on the Sonic x show, I love them all!. 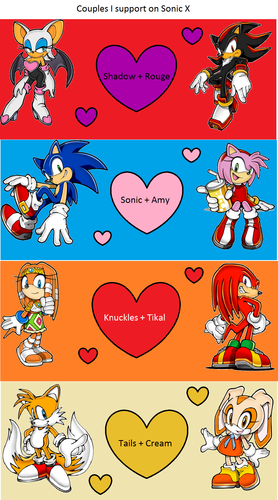 HD Wallpaper and background images in the SONIC COUPLES club tagged: sonic couples. Funny I hate all these couples!